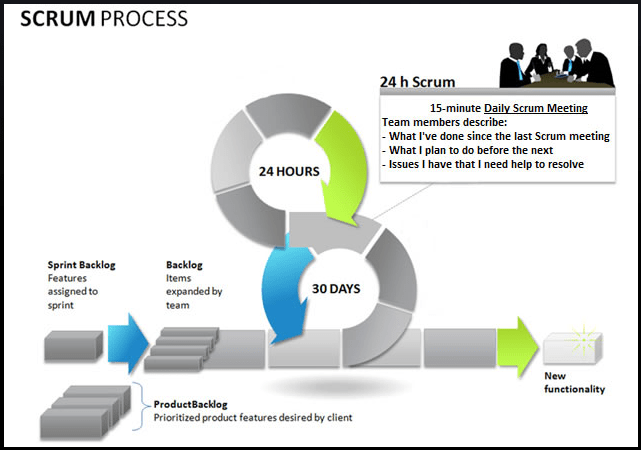 This article is very interesting (and very clear) and summarized in a few lines the differences between the traditional PM (Project Management FoundamentalsParameters) and Scrum Vision. “Traditional project management emphasizes on conducting detailed upfront planning for the project with emphasis on fixing the scope, cost and schedule – and managing those parameters. Whereas, Scrum encourages data-based, iterative decision making in which the primary focus is on delivering products that satisfy customer requirements.